Going to jail doesn't have to be so bad. Of all the outrageous police cars we've covered on this site, this might be the most practical one yet. Yes, what you're looking at here is a $400,000 Rolls-Royce Ghost Black Badge ready to protect and serve the citizens of Chichester, U.K. OK, so it's not really prepped for any real police duty and only donned the Sussex police livery and lights for a day as part of Chichester Police Station's Open Day and to collect donations for the Chestnut Tree House local children's hospice. 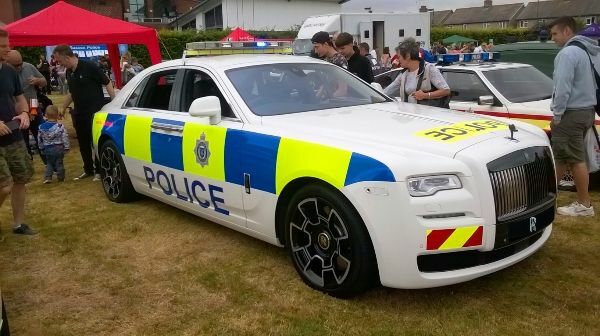 However, we couldn't help but think that a Rolls-Royce Ghost (department budget permitting) would actually make one hell of a cop cruiser. With a 603-horsepower twin-turbo V-12 under the hood, this Rolls comes pursuit-ready from the factory, to say the least. While its vast back seat may need some "modifying" before it's fit to be occupied by less savory types, it should prove to be a hit with the "Do you know who I am? ", white collar outlaws. Plus, the signature Rolls, front-door umbrella depositories can easily be repurposed as additional nightstick storage, making allegedly justified intimidation that much more convenient. They'll never see it coming. 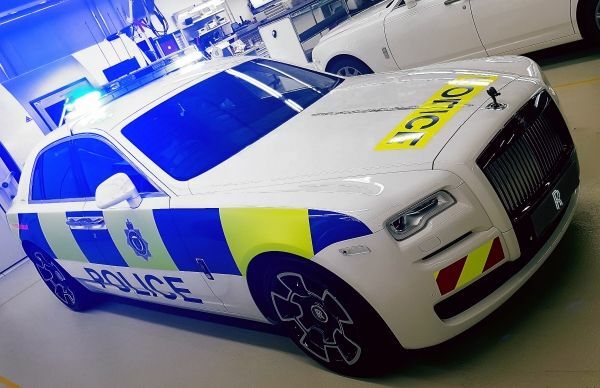 Unfortunately, the Rolls-Royce Ghost Interceptor has now returned to its regular livery and lost its sirens, likely much to the chagrin of to a certain chief constable. Instead of seeing track use, this GT4 will be serving an important purpose for the Norfolk Constabulary.